Val Chmerkovskiy of DWTS Fame Sued for Posting a Meme - Is This Fair? Valentin Chmerkovskiy, along with CBS news and the photographer of a photograph are finding themselves the subject of a, in my opinion, frivolous lawsuit. A girl with Down Syndrome, who is now 16 years old, drank a large soda in 2008. A guy took a picture of it and the event cascaded. Here's the scenario, per TMZ.com. Note that you can see the image on TMZ's website. The girl claims in 2008 she was at a baseball game and someone took the picture of her drinking a soda. The guy posted the pic with the heading, "Everything that's wrong with America." The pic became a meme in 2014, and Val posted it 3 weeks ago on Facebook. The caption on the meme read, "Letting your kid become obese should be considered child abuse." Because the pic went viral and Val refused to apologize and remove the photo (he responded to the girl's mom's email saying that she's the problem, essentially), the girl is now suing for emotional distress, defamation and invasion of privacy. The girl is asking for $6 million from Val, $6 million from CBS because they also posted the photo, and $600,000 from the photographer. Q: Am I legally permitted to photograph strangers in public places? Are city and state parks considered public places? A: Yes, you can photograph strangers in public places, unless you do it to such an extent and in such a way that you become a harasser or nuisance to the public. First and foremost, the photographer was within his right to take the picture. As the subject was in a public place and the photographer lawfully took the photo, I see no case here. Secondly, the parents of this girl, who are obviously involved in this lawsuit, had to know that starting this lawsuit would thrust their daughter further into the spotlight. If the daughter really wanted this to go away and forget about it, a very public lawsuit would not be the best option. The photographer was not being sued because he was within his rights. The lawsuit noted that money from the winnings will support charitable causes to assist with Down Syndrome and childhood obesity. The lawsuit were for a fair amount of money and seemed to have some level of positive intention. I have not read the whole lawsuit so I don't know if any of my above points are included in the lawsuit, but they are not as far as I'm aware. I really don't think this kid has a case, and I also don't think she'll win if it goes to court, but I think that CBS and Val Chmerkovskiy will pay the family some money to be quiet, and if the family's seeking fame, the girl will end up with a guest spot on a TV show or something and get her 15 minutes in the spotlight. For example, there was a character on Glee with Down Syndrome; this could happen again on another show. Please note - I am arguing legality, not morality, in this blog post. What the photographer did initially was not right when it comes to ethics. And when the girl's mom asked Val to remove the photo, he should have. Telling the mom that she's not parenting correctly isn't a great thing to do, and I don't think many people are arguing about that. But her grudge against Val is certainly not worth the $12 million dollars she's asking for. Plenty of people are featured in memes all the time and they don't sue the people posting them. Goosebumps girl, for example. Here's my thing - I don't doubt that the girl was embarrassed, and I don't think featuring people in memes without their consent is a nice, kind, fair thing to do. I do feel sorry for her and I do wish she didn't go through pain because of Val's selfish actions. But this was not intentional slander, and in an age where practically everything in public, things like this will happen. Tonight's Undercover Boss features the store Shoppers World. I was interested in this because I have actually been to Shoppers World (and, in this blog, will display an image from a totally ridiculous product at Shoppers World). The description of the episode was kind of funny - it said the Shoppers World CEO discovers shoplifting at his stores. Well, yeah, it is retail so that's not surprising! Anyway, onto the episode. This is a photo I took at Shoppers World. Proofread fail. CEO Steve Dushey went undercover to see what's going on in his family business. In 1904, Steve's grandfather came from Syria and opened his first store in the 1930s. His family continued to open stores, and Steve was raised in the business. The goal of the store is to sell a bunch of stuff, including all things fashionable, at the lowest possible prices. Bored with the eight stores in the company, Steve expanded during the recession by finding affordable real estate and got the company to forty stores. He wants to add many more. Steve's dad, who is no longer in the business but does advise Steve, is concerned about too much expansion, but Steve says he's got it under control. Steve talked to a buyer about prices, and that really is a true example - I saw the sheets (good ones!) in the store at the price point Steve was discussing. This really is a great store - there are so many fun items, and they pack a ton of stuff in the store. It can be difficult to get assistance sometimes in a store, but the employees are awesome and very helpful. 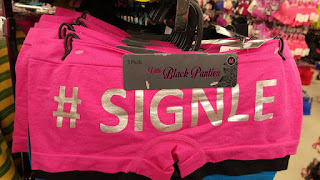 Most of the merchandise in the store is great - some is name brand - but some is so funny, like the image I've included of the underwear with the typo. Steve went undercover as Alex, a Jersey Shore surfer. He will pose as a reality show contestant looking to win money to open up a home improvement store. Alex began at the Jamaica Avenue store in Queens, NY. Alex met with Nalini, who is in charge of shoes. Nalini planned to teach Alex every detail so he realized how tough it is to work there. He had to check the shoe boxes to make sure they contained the right items. He realized the store was carrying too many items for the space available. They next did stock upstairs, and when that happened, Nalini explained that she met her fiance at Shoppers World, and she takes care of her nephew and both her parents. She said she is upset because she's been in the job for eight years without a promotion, and she used to be offered 60 hours a week and is down to around 28. Stop two was Morrow, Georgia. Alex worked with Sharteria. She goes by Shar. She was great! She immediately said that Alex needs to change her surfer hair. She pointed out that there were school uniforms, even though school had already started. Alex noticed that there were summer items out when it was fall - they were losing money by having the wrong things out. Shar, who I have determined is an awesome person because of her great attitude, shared that she was going to marry her baby's father but it didn't work out because he was cheating. She's twenty years old and six months pregnant. The pair had to dress a mannequin, and Shar asked Alex to pick out an outfit. She said he can use his fashion sense to pick the outfit. He was upset because there are company manuals about what to display, but Shar never saw it. Shar said they put the items next to the mannequin (up high) and customers ask for help to reach a high item. When asked, Shar said there's no training manual or anything and she learns on her own. Alex stepped out to talk to his district manager and talk about the issues he faced. Cleveland, Ohio was third, and that's a store that turns over merchandise really fast. Alex met with Carol, who goes by Miss Carol. He'd be working in childrenswear. Alex would be scanning for markdowns - every item in the department. He had to make sure items match the marked price. If there was a mismatch, he'd have to mark the item as clearance with a red sticker. Because Alex did so badly at scanning products, the scanner kicked out. It had to be restarted, and it had problems because of the wifi connection. This is where the shoplifting description came in. An alarm went off to signal shoplifting, but the employees were too late to stop the shoplifter. There's no security in the store so nothing could be done. Needless to say, Steve (undercover as Alex) was horrified. He met with assistant manager Aimee, who explained that two ladies hid merchandise in their purses. She said this is a constant problem - it happens once or twice a day due to the lack of security. Aimee said she was once pepper sprayed by a woman who was sneaking out the back door with merchandise. Brooklyn came next. This is a huge store. Alex met with a cashier named Tanisha. This store handles security well, which was part of why Steve (Alex) wanted to visit. Tanisha showed Alex that the store, upon their own initiative, tapes bags shut once people buy things so nobody can sneak anything in. Alex was shocked to see the problems with checkout - some items wouldn't scan so they have to be entered manually, which is very slow. Tanisha said her job is all about fun, showing that she has a great attitude and is very likable. My only issue is that she tells customers to have a blessed day, whereas I feel that unnecessarily adds religion to the conversation. Tanisha told Alex about her family. Her father's in a nursing home and isn't doing well. Tanisha also has a 23 year old son. She'd love to have her father live with her but can't afford to on her minimum wage salary. She loves Shoppers World, though, and wouldn't leave. She grew up with her family shopping there and loves it at the store. Sam revealed that he's the boss and he was dressed as Alex. Sam told Shar that he realized there was a lack of training. He told Shar that he'd have everyone retrained so they could be successful. Sam gave Shar $10,000 to spend on her soon to be born baby. Sam told Nalini she taught him that his employees aren't treated fairly. He said she'd be getting her 40 hours back and would be the head of merchandising in her department. He gave her a $15,000 signing bonus. He also gave her $20,000 so she could have a real wedding and wouldn't have to get married at city hall. Aimee and Sam talked about security. Sam invested 1.2 million in security across the company. Sam gave all of the full time employees in the store checks for $5,000. Aimee would get an additional $15,000 for how hard she works. Miss Carol convinced Sam to invest half a million dollars into improving scanners and wifi. Carol mentioned that her husband is ill, and Sam offered her a $20,000 check for her husband's care or her retirement. Sam was impressed with how Tanisha trained him. Sam offered her full time employment, as well as $100,000 so she can care for her father at home. Shar moved to be near her family and had a baby girl. Nalini is planning her wedding. Aimee will reward her family with a new home. Miss Carol enjoys time with her husband and Tanisha cares for her dad at home. And that's it! Steve Dushey was very generous on this episode. Of course, this seemed to be his goal from the get go, but it's cool - it was effective, and it will make me shop more at Shoppers World. Plus, they have great text deals so you can get discounts on their already great prices. 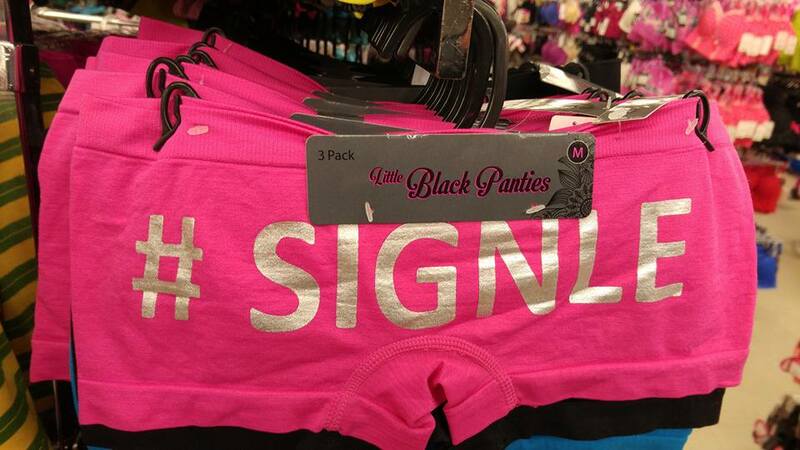 Well played, Shoppers World, well played.